This baby will never lose its patience. 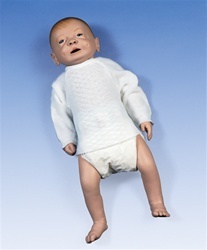 Parents-to-be or the baby care trainee can perform bathing, changing, dressing and feeding simulation until these techniques are mastered. Very useful for pre-birth courses!